Stephen Layton is one of the most sought-after conductors of his generation. Often described as the finest exponent of choral music in the world today, his ground-breaking approach has had a profound influence on choral music over the last 30 years. 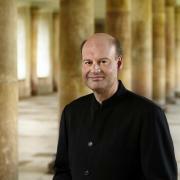 Layton is regularly invited to work with the world’s leading choirs, orchestras and composers. His interpretations have been heard from the Sydney Opera House to the Concertgebouw, from Tallinn to São Paolo, and his recordings have won or been nominated for every major international recording award. He has two Gramophone Awards (and a further ten nominations), five Grammy nominations, the Diapason d’Or de l’Année in France, the Echo Klassik award in Germany, the Spanish CD compact award, and the Limelight Recording of the Year in Australia. Founder and Director of Polyphony, Layton is also Fellow and Director of Music at Trinity College Cambridge and Music Director of Holst Singers. 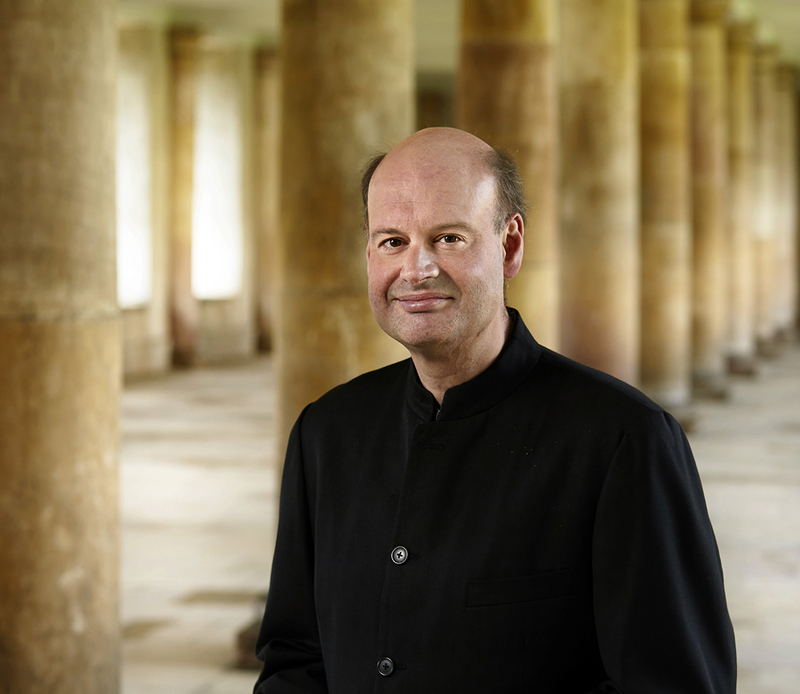 His former posts include Chief Conductor of the Netherlands Chamber Choir, Chief Guest Conductor of the Danish National Vocal Ensemble, Artistic Director and Principal Conductor of the City of London Sinfonia, and Director of Music at the Temple Church in London. Layton is constantly in demand to première new works by the greatest established and emerging composers of our age. A longstanding partnership with Arvo Pärt has resulted in première performances and award-winning recordings, including three CDs with Polyphony on Hyperion: Triodion (Best of Category at the 2004 Gramophone Awards), Berliner Messe & other works and Choral Works. Layton has worked closely with Sir John Tavener, premièring many works, including his epic seven-hour vigil The Veil of the Temple. His bold realisation of this new departure in British choral music met with acclaim at its performances in London, the Lincoln Center New York, the BBC Proms and Trondheim, Norway. Passionate in his exploration of new music, Layton has introduced a vast range of new choral works to the UK and the rest of the world, transforming the music into some of the most widely performed today. The fact that modern American music and the sounds of the Baltic region are “an accepted – even expected – part of today’s choral catalogue owes an awful lot to Layton”, wrote Gramophone Magazine in 2016. Layton’s longstanding association with music from the Baltic includes recordings of works by the Latvian composer Eriks Ešenvalds: Passion and Resurrection with Polyphony in 2010 and Northern Lights with The Choir of Trinity College Cambridge, nominated for a 2015 Gramophone Award. His recordings of works by Uģis Prauliņš include Missa Rigensis on the Hyperion disc Baltic Exchange, and The Nightingale, on OUR Recordings, with Michala Petri and the Danish National Vocal Ensemble, which was nominated for two 2013 Grammy Awards, and won the prestigious Echo Klassik award in Germany. Layton’s Holst Singers disc of Veljo Tormis’ choral music won a Spanish CD Compact Award in 2009. Layton has been recording and performing regularly with Polyphony since he founded the choir in 1988. Now universally acknowledged as one of the finest choirs in the world, Polyphony’s recordings with Layton have consistently broken new ground and created a new sound world in British choral music which continues to influence and inform conductors and choirs throughout the world. His captivating discs of works by the American composers Morten Lauridsen, Nocturnes and Lux aeterna, and Eric Whitacre, Cloudburst, were nominated for Grammy Awards in 2006 (Lux aeterna), and 2007 (Cloudburst). Writing in Gramophone Magazine, Eric Whitacre affirms, “Never before had I dreamt that my music would one day be so beautifully and masterfully recorded”. Cloudburst spent a year in the USA’s Billboard Classical Album Chart. Polyphony’s numerous award-winning discs also include Britten Sacred and Profane, which won a Gramophone Award and the Diapason d’Or de l’Année in 2001, James MacMillan’s Seven Last Words from the Cross, Bruckner’s Mass in E Minor and Motets, Poulenc’s Gloria, and American Polyphony, a disc of Barber, Bernstein and Copland. International concert highlights include performances at the Concertgebouw and in Brazil. In a recent Gramophone critics’ poll of the world’s “20 greatest choirs”, not only was Polyphony voted second finest choir in the world, but The Choir of Trinity College Cambridge also made it into the top five: confounding expectation, Layton had led a student choir into the highest ranks. Under Layton, the choir has consistently toured at the highest international level, including two month-long tours of Australia with Musica Viva, and recorded prolifically. In 2012 they won a Gramophone Award for Howells’ Requiem & other works and were nominated for a Grammy Award for Beyond All Mortal Dreams. Nominated a further five times for Gramophone Awards, in 2016 they won Australia’s Limelight Recording of the Year for Howells Collegium Regale. Layton guest-conducts widely, regularly working with and inspiring the world’s finest choirs and captivating their audiences. He has conducted over 100 concerts with the Netherlands Chamber Choir, including performances and recordings of music by Martinu, Milhaud and Anthony Pitts’ Missa Unitatis. His many acclaimed performances with the Danish National Vocal Ensemble include premières of works by Thierry Machuel. Layton’s regular work with major German radio choirs includes recent world premières of music by Phillipe Manoury and Oxana Omelchuk with the SWR Vokalensemble, Prauliņš’ Missa Rigensis with the MDR Leipzig Radio Choir, and NDR Radio Choir, Hamburg. In the Baltic, highlights include the première of Prauliņš’ Veni Sanctus Spiritus with the Latvian State Choir in Riga, a tour of Hong Kong and Korea with the Estonian Philharmonic Chamber Choir, a Pärt programme with Estonia’s Voces Musicales, and engagements with the Latvian Radio Choir. In Poland he has conducted the NFM Choir, Wroclaw, the Polish Radio Choir, and Łukaszewski Via Crucis with the Wroclaw Philharmonic in the Wratislavia Cantans Festival. Other highlights include Howells Requiem with the Slovenian Philharmonic Choir, engagements with the Eric Ericsson Chamber Choir in Stockholm and Die Konzertisten in Hong Kong, and the inaugural concert of the Yale Center for Music and Liturgy at Carnegie Hall. Layton works regularly with the world’s leading orchestras. A long and fruitful partnership with Britten Sinfonia led to eight highly-acclaimed CDs with Polyphony on Hyperion, among them a disc of Handel’s Messiah named the best Messiah recording by BBC Music Magazine. Performances with Britten Sinfonia include Haydn and Pärt at the Concertgebouw and Bach’s St John Passion at St John’s Smith Square. In 2010 Layton succeeded the late Richard Hickox as Artistic Director and Principal Conductor of the City of London Sinfonia. During his seven-year tenure, Layton undertook two Cathedrals tours uniting choristers across Britain, with a programme including new commissions by James MacMillan and Gabriel Jackson. He also took the orchestra to Latin America, performing Tavener’s The Protecting Veil in Mexico and Bach’s B Minor Mass in Columbia. Regular collaborations with the Orchestra of the Age of Enlightenment include acclaimed recordings of Bach’s Christmas Oratorio, B Minor Mass and St John Passion (with Ian Bostridge as Evangelist), and performances, with Polyphony, in London, Antwerp, Frankfurt and the Théâtre des Champs-Élysées, Paris. Layton’s interpretations of Bach and Handel have been heard with orchestras ranging from the Academy of Ancient Music and the Australian Chamber Orchestra to the London Philharmonic and the Philadelphia Orchestra. Performances include Messiah in Sydney Opera House, and with the Seattle Symphony, the Hallé, Royal Liverpool Philharmonic and the Royal Scottish National Orchestras; B Minor Mass with the Queensland and Melbourne Symphony Orchestras; St John Passion with Auckland Philharmonia; and the first staged production of St John Passion with English National Opera, directed by Deborah Warner. Layton and Polyphony’s annual performances of St John Passion and Messiah have been notable events in London’s music calendar for more than 20 years, and broadcast many times by BBC Radio 3 and the EBU. His performances of Handel oratorios with Holst Singers include Israel in Egypt, Joshua, Jeptha and Solomon, and he has conducted a staged version of Joshua for Opera North. Other leading orchestras with whom Layton has worked include London Sinfonietta, BBC National Orchestra of Wales, Scottish Chamber Orchestra, Minnesota Orchestra, Adelaide Symphony Orchestra, and the West Australian Symphony Orchestra. Layton is also Artistic Director of the Annual Christmas Festival at St John’s Smith Square, regularly described as one of the UK’s finest. Layton continues to innovate, taking bold and original steps and leading the way in the use of new technologies in choral music. Everything sung by The Choir of Trinity College Cambridge is webcast live and available to listen again at www.trinitycollegechoir.com. Layton was the first in the world to webcast every single note sung in this way, laying bare the music making without any digital editing. This searchable archive of over 4,000 musical tracks recorded live over the last six years forms an invaluable resource for listeners around the world.